Traveling Sardine Class: When in doubt, assemble something . . . When in doubt, assemble something . . . I didn't make a new list. I reviewed the old list and could cross off a thing or two, but there were still things, newer things with higher priorities that I need to add to the list, but as I stared at its caution yellow background, I couldn't remember what they are. I did have a car to unpack when I got home from quilt camp. I had great aspirations for a same-day unpacking, but I stopped for a movie on my way. I saw "Noah," which I quite enjoyed. (Let's face it, I enjoy anything with Russell Crowe. And doggone it, I just discovered he's younger than my son.) I also did some shopping as I passed through the Little City Down the Hill. That evening, I managed get my suitcase, rolling back pack, and my bedding out of the car and into the bedroom. That's a day or two faster than usual. I got all the quilting stuff into the studio the following day, except for the big plastic project box that lives in the basement. The to-do list went almost untouched on Tuesday as I went to meetings, but I accomplished one thing not yet entered on the list: lining up a ride the next afternoon back to the Little City Down the Hill to pick up Daughter's car, which has been waiting for me at the mechanic's after getting its smog equipment upgraded for registering it in California. Thursdays Out at NeedleCrafts revealed friends who've been more productive than I have. 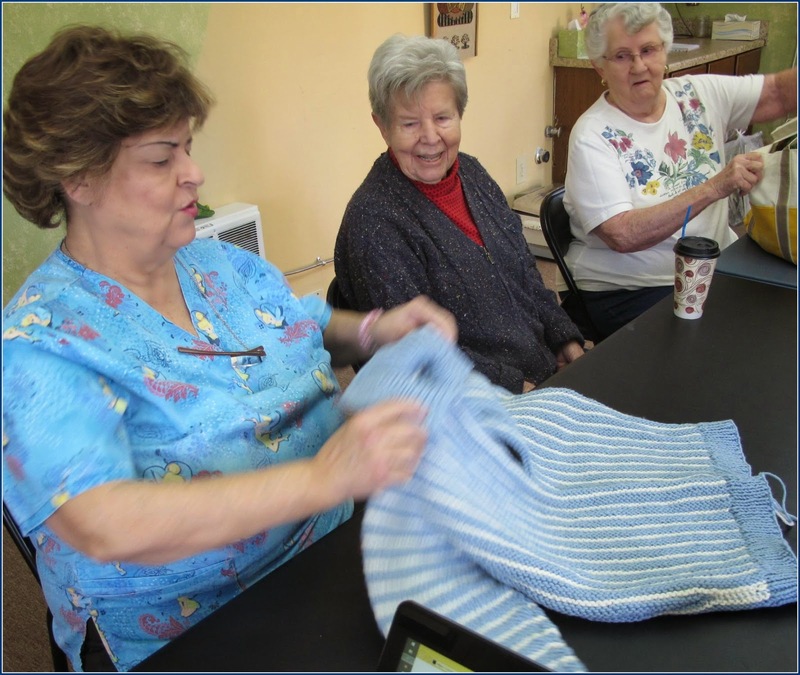 Here the gals are admiring an almost-done sweater that Sandy is working on. 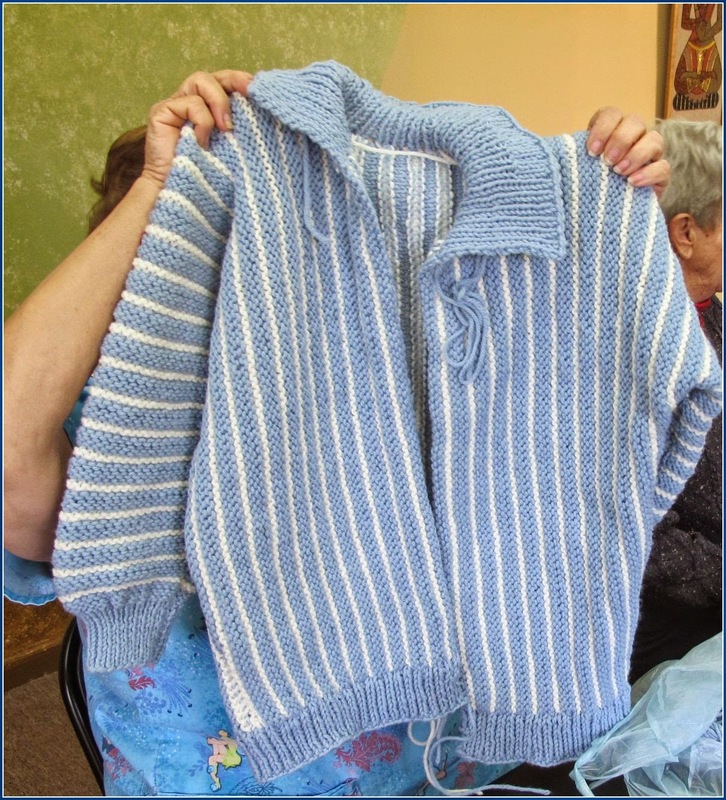 Bernice has moved an unfinished object project into a finished object. 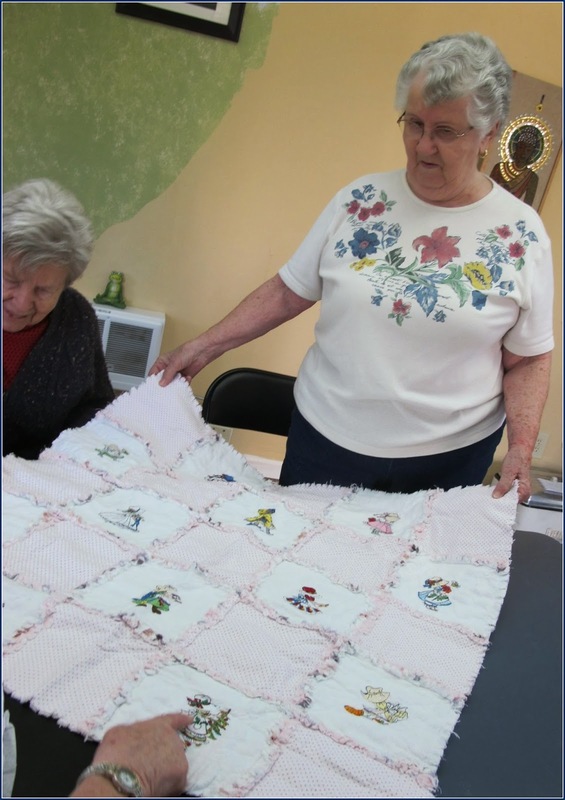 She made embroidered calendar blocks of Sunbonnet Sue into a baby quilt. When I got home from quilt camp, there was a box in the living room. 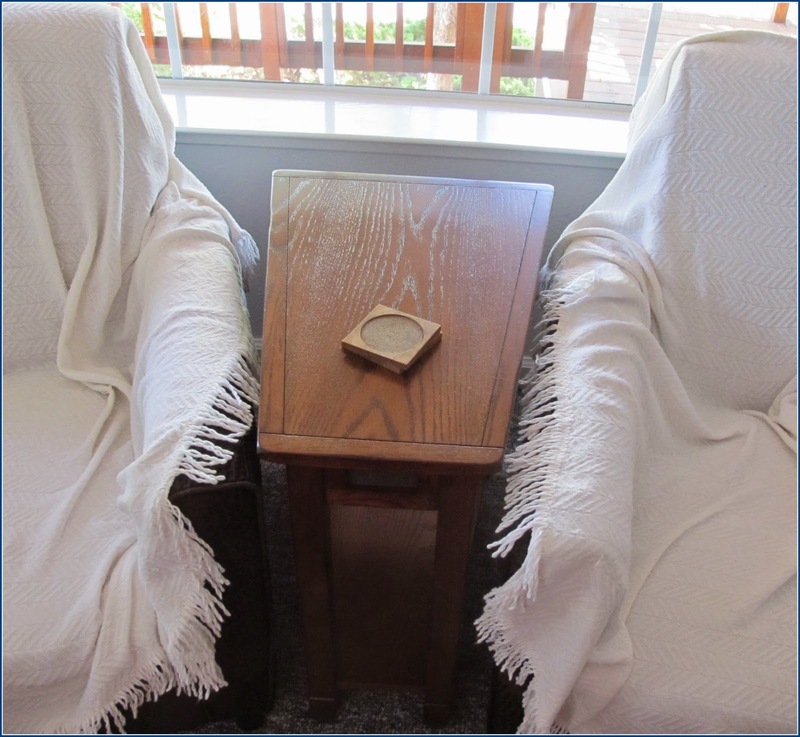 By Thursday evening, feeling so nonproductive for the day, I decided to assemble the little between-table (distinguished from an end-table by its modified wedge shape). It gives guests someplace to put down a beverage besides on top of a cat apparatus. 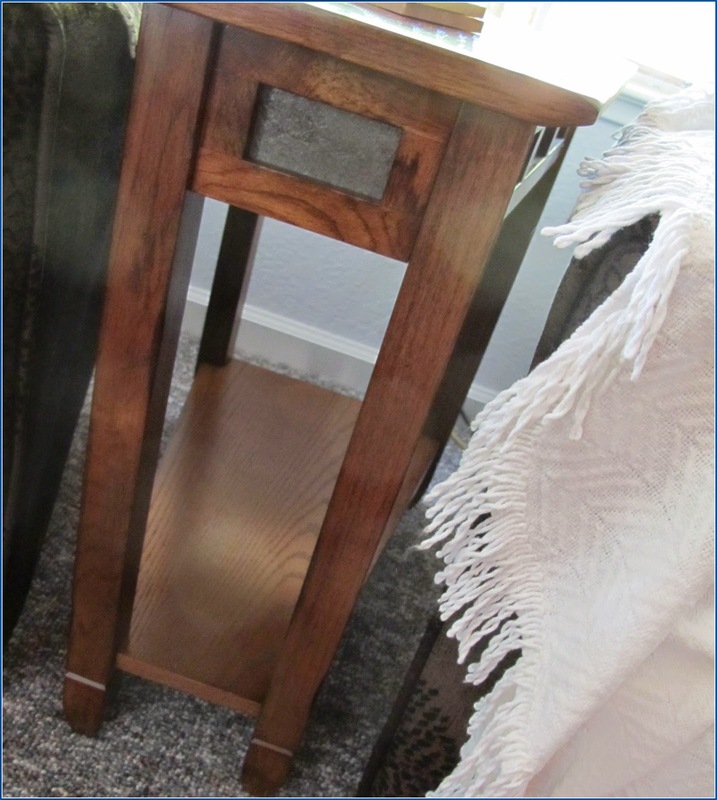 I'd been browsing websites trying to find a wildly creative table substitute, but when it came down to it, ordered this one, which will work out just fine. When I decided to pay a few bills on Friday, I got myself into an unanticipated project -- just what I need. Going back to the end of January, I received descriptions from the Quicken people about terrible deficiencies I would experience if I didn't update my old Quicken to the current version. I usually follow that advice every three or four years. The Old Version is from 2011, so I purchased the 2014. Once I'd completed the update (which involves converting all my old data files to the current version), it didn't look like I was even using the function that was changing, nor am I likely to use its successor. Furthermore, I didn't like the "look" of the new Quicken and the menus were less than clear. Yet, I decided to stick it out. Then I ran into a "don't like" that broke the camel's back. Once upon a time, I had a little portable brain called a Sony Clié, back when PDA meant Personal Digital Assistant, rather than Personal Displays of Affection. It worked great, except for the battery life. It would give frantic warnings to back it up, because it would forget everything if the battery ran out. There was an SD card for back up in it, but you were in danger of not having it on for its warning. So eventually I replaced it with a Palm Pilot, another PDA, the T|X model. Palm includes a desktop version with all the same info as in the Palm Pilot. Data can be entered in either one and then be "Hot Sync'd." One of the add-on apps that can be sync'd is Quicken. The Palm is now old, in the legacy category, and no one seems to make PDAs any more. I don't happen to want my brain on a smartphone, so that's not an option I'm interested in. 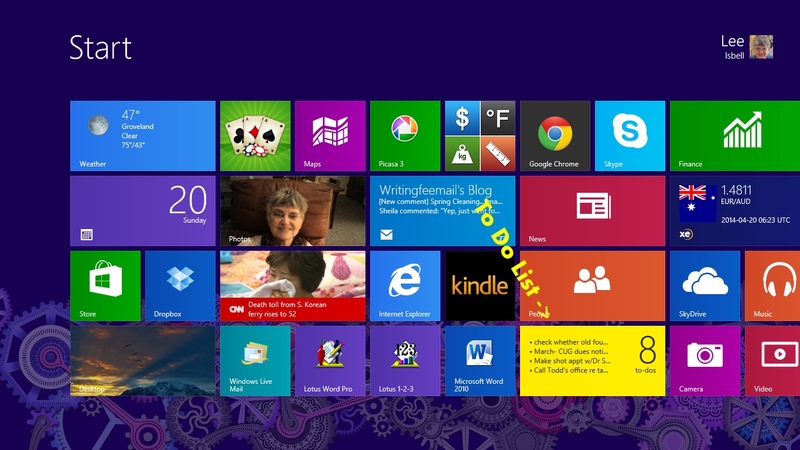 I fell behind hot sync'ing after putting Quicken 2014 on the computer, and when I tried to sync a couple of weeks ago, the Quicken component didn't work. I've stewed about that for those couple of weeks and did enough research to determine that there is no fix. Since I find that sync so important, on Friday I did a print-out of all the checking account transactions done in the new version of Quicken since January, and then it was out with the new Quicken and in with the old. It took part of a couple of days to reenter the checking account data, re-reconcile the bank statements, and re-download credit card into, but it came out slick. I even located a couple of known errors. And it Hot Syncs with the Palm Pilot! I've seen this kitty in the distance before and have chased it away. It's grown up, and I think it must have a home, so I don't need an extra consumer on the deck. There is another large (large) male with the same coloration but much less symmetrical, so I'm guessing they share bloodlines somehow with Sami. Saturday, it declined to be chased, just hung out on the driveway. Then I began to wonder. Could this be Sami's sibling, the one I believe met with disaster? I took this kitty's picture so I could go back through the files and compare it to the missing kitty's. Meanwhile, I drove car around to the side of the house to the door to the basement so I could take the big quilt camp project box down there for storage. I dragged it into the basement and stowed it near the door for next time. I looked at two unopened boxes containing more wire shelving. They have been looking at me. Waiting for the moment. When in doubt, assemble something. 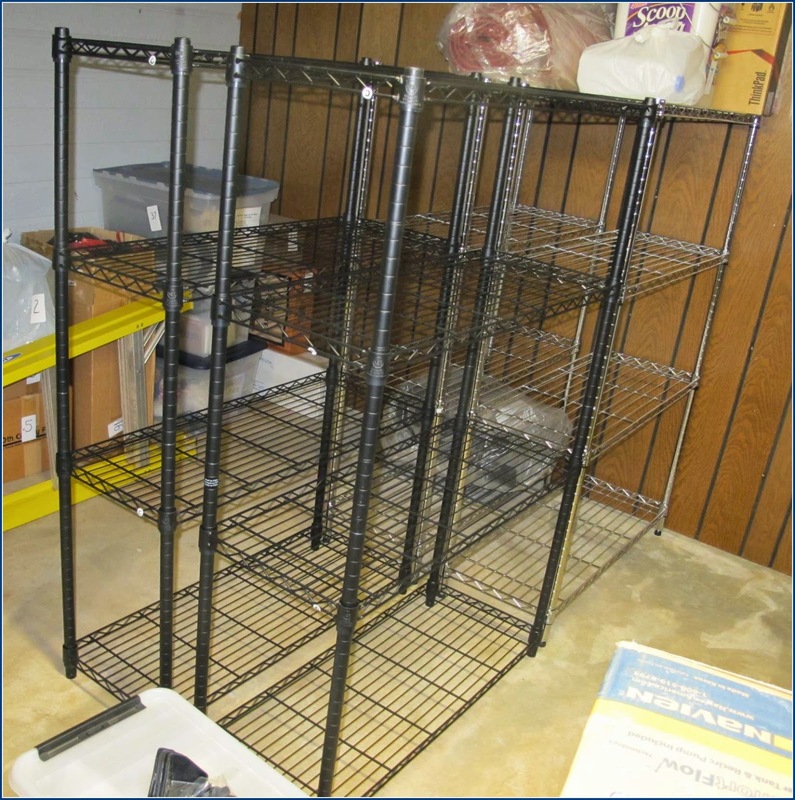 They are very much like the other wire shelving I've assembled for the quilting studio, two tall ones, one with wheels, in granite color; two short ones for the basement, silver (stainless steel? chrome? ); and the two new ones in black. They're virtually identical, although they have different manufacturers' names on them and came from different stores. The new one has somewhat easier instructions for assembly by one person, although they all call for two-person assembly. I improvise the second person. The two new black ones are closest, the silver behind them. The original photos of the wire shelves were mysteriously unreadable. So I went down later to try again. 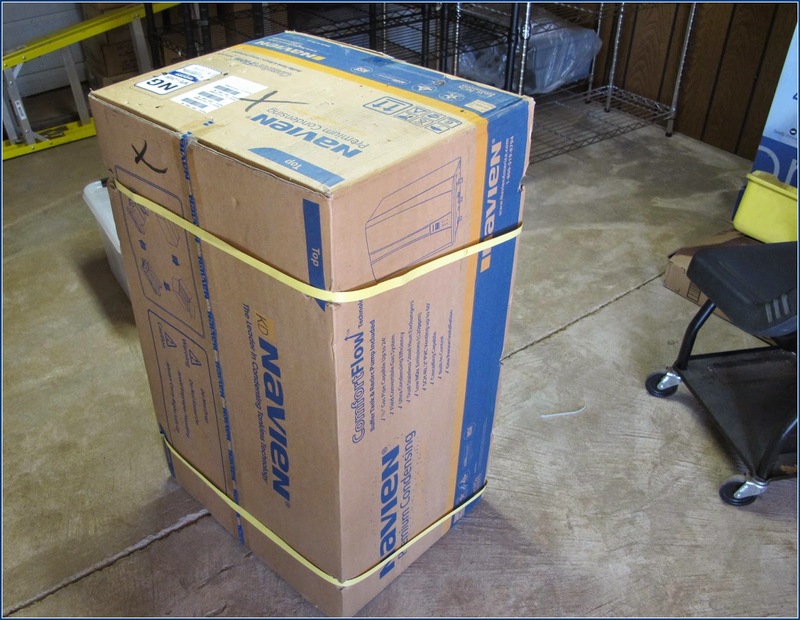 Meanwhile, the plumbers had delivered a box for the new tankless, instant on hot water heater. It looks so small. And I found the photo of the missing kitty, the one in the front. Alas, the kitty above is not the missing kitty. Hope is dashed. There remain two things in boxes in need of assembly. One arrived today, the Bissell Featherweight Vacuum. Consumer Reports gave it kudos for picking up cat litter and cat hair. I have a lot of that I go tracking through. And I have a lamp that I bought back early in the room addition project. I admired its lines in the picture on the box and figured I might need it to lighten some dark spot around the house. Next time I'm in doubt about my to-do list, I've always got those to assemble. Are you sure that isn't the missing kitty? Sure looks llke it could be. At minimum, to is a relative.